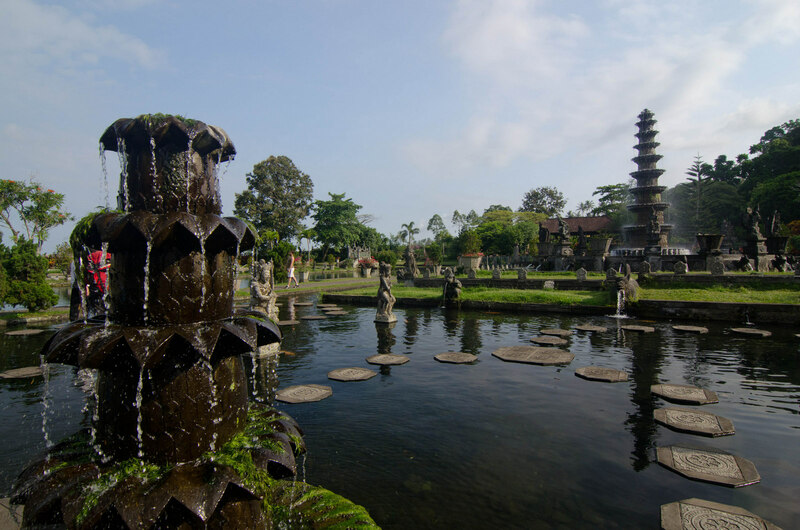 For Bali, however, there were just so many things to do, and I was having a hard time figuring out what exactly I should plan for us. So I assigned Josh a homework task: pick out one thing that you most want to do in Bali, and I’ll fit it into our itinerary. Later that day, after he’d had a chance to research Bali a little, I asked if he had given any thought to what type of activity he’d like to do. Yeah, he’d thought about it, he said. “So . . . what are your thoughts, then?” I pressed. “There’s a lot to do in Bali.” And that was all I got out of him that day. He’s not known for being particularly loquacious. 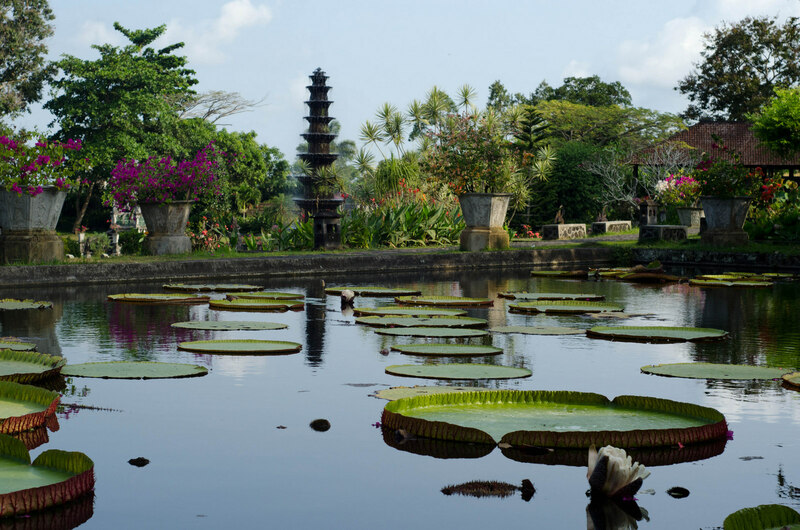 A few days passed, and I reminded Josh that if he was looking for something to do while I worked late that night, he could look more into Bali destinations. I came home later and asked if he’d found anything good. “So basically you couldn’t find anything you’d like to do in an entire island full of cultural destinations that contribute to it being one of the top travel destinations in the world?” I teased, though I was starting to get the teeniest bit exasperated. More time passed and Bali was just a week or so away. “Just find ONE thing to do!” I pleaded. At this point, it would have been easier to just consult Molly and plan the rest of the trip without Josh’s input. But another unfortunate travel hangup that I have is that once I decide that something is going to happen, I get very upset if it doesn’t turn out according to plan. And doing one activity of Josh’s choice was part of THE PLAN. Luckily, another reason that Josh and I travel well together is because he is exceptionally patient, and he is extremely supportive when I get overwrought at plans gone awry. In this case, he knew there was an easy fix to making me feel better about our trip, so he hopped on his computer and he FINALLY picked a destination. Without bothering to research it, I wrote down his pick on a list of sites to see. After paying the entrance fee, we gathered that this place was a water palace. We also learned that it had been built in the 40s, destroyed by a volcano in the 60s, and then rebuilt–the result is what we got to see that day. 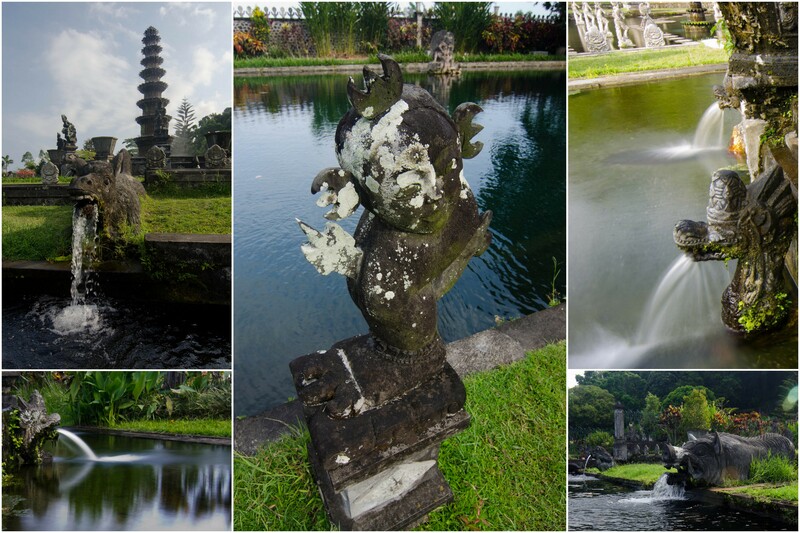 There isn’t much to say about Tirta Gangga. 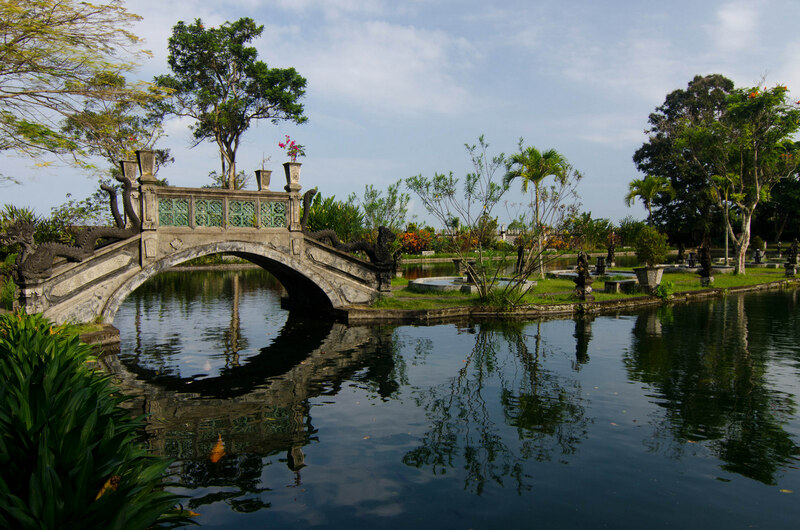 Not much history, and just another page in the culture of Indonesian water palaces. And yet, we all enjoyed our visit there, for no other reason than that it was extraordinarily beautiful. For close to an hour, the three of us walked around admiring the place. 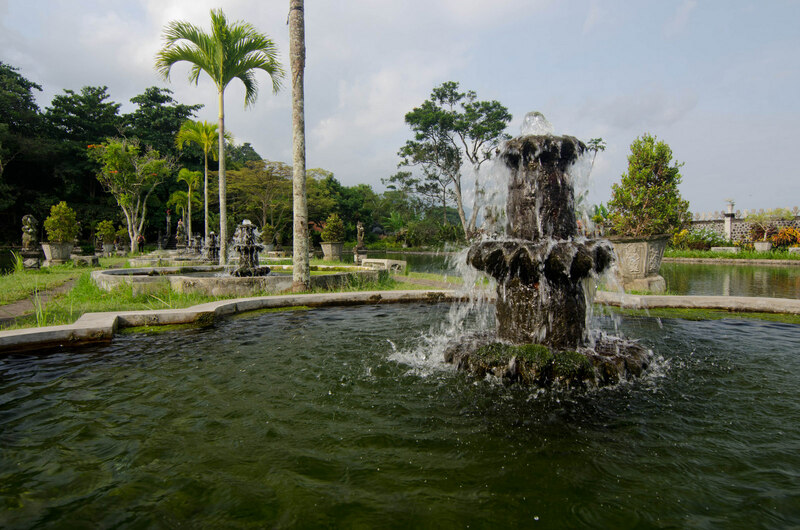 There were dozens of fountains. 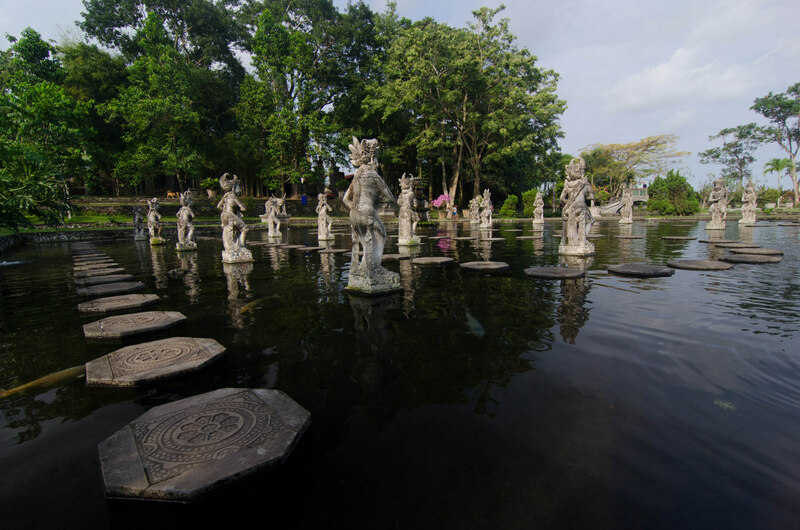 And some of those fountains had stepping stones so that you could walk around in them. 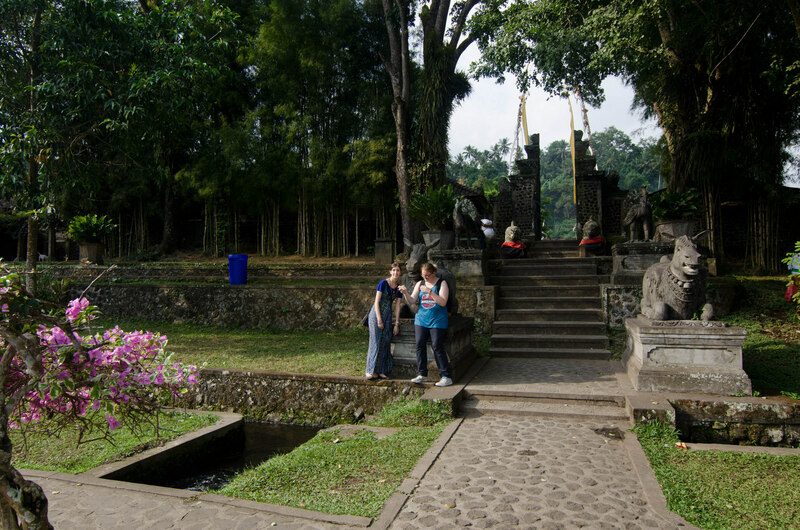 We hopped from stone to stone, surrounded by statues of Hindu gods. Josh had a chance to experiment with some of his new camera gear. And Molly and I had a chance to take stupid selfies with the animal statues. Here we are, after making ridiculous faces to imitate the stone donkey. You could say we made asses of ourselves. 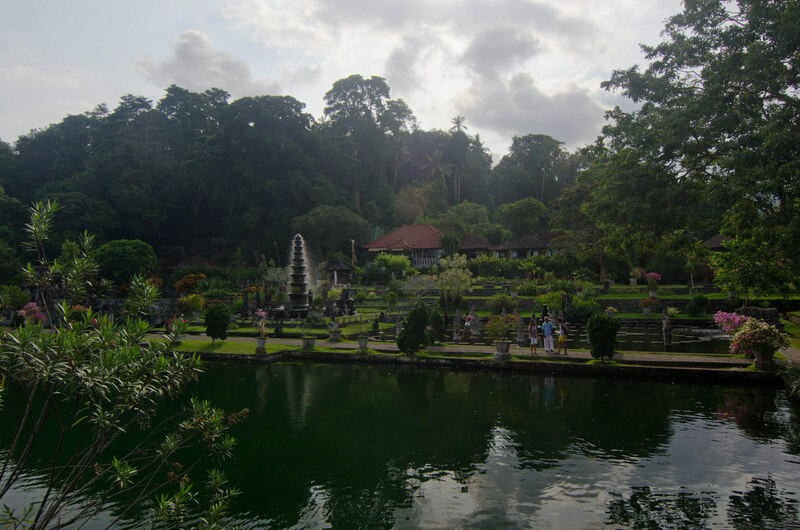 Tirta Gangga was an incredible place, and I’m so glad that Josh discovered its existence. 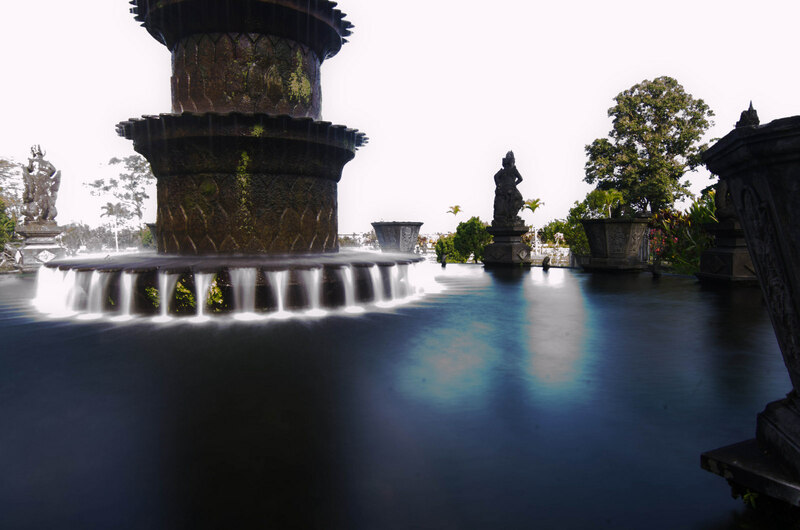 If you find yourself struggling to plan your next Bali trip, Josh and I highly recommend adding Tirta Gangga to your itinerary! *All photos in this post were taken by Josh. 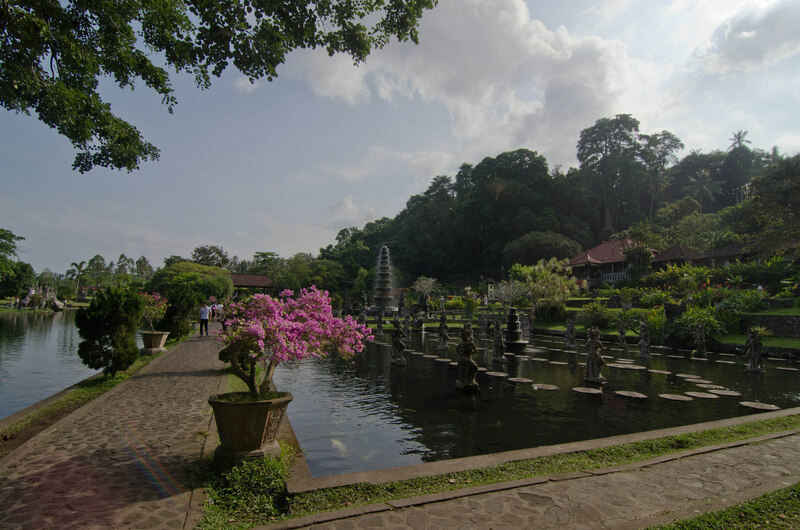 You can read what he wrote about Tirta Gangga here.